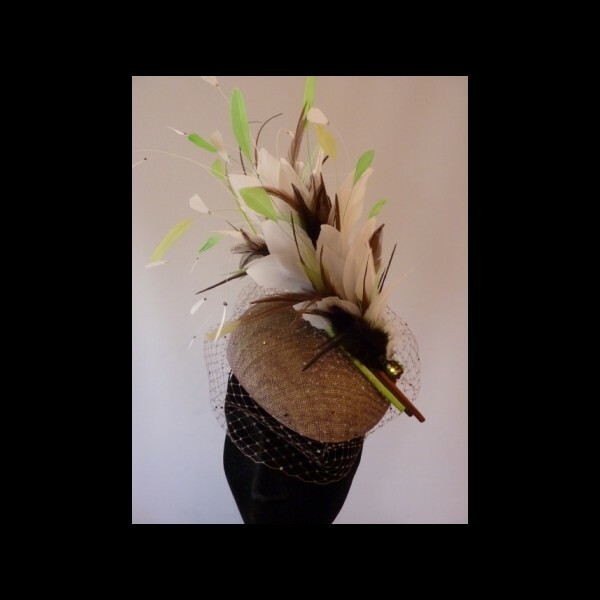 Gorgeous & Glorious Feather Firework Headpiece in Shades of Green & Taupe. 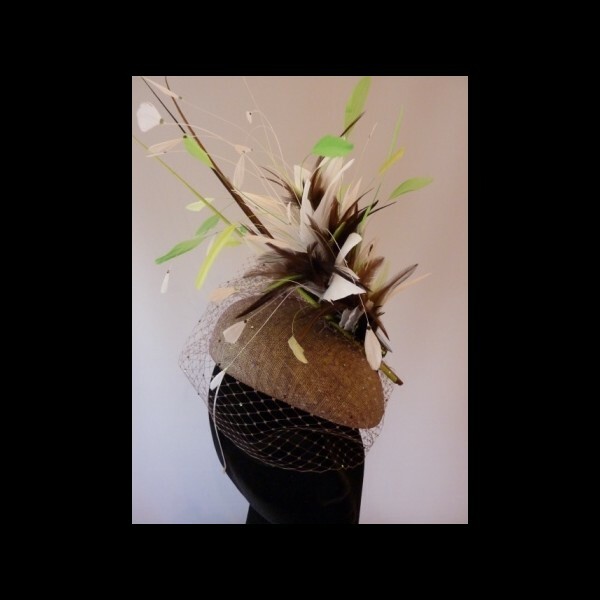 A cap shaped sinamay headpiece in two tone taupe and citrus sinamay. 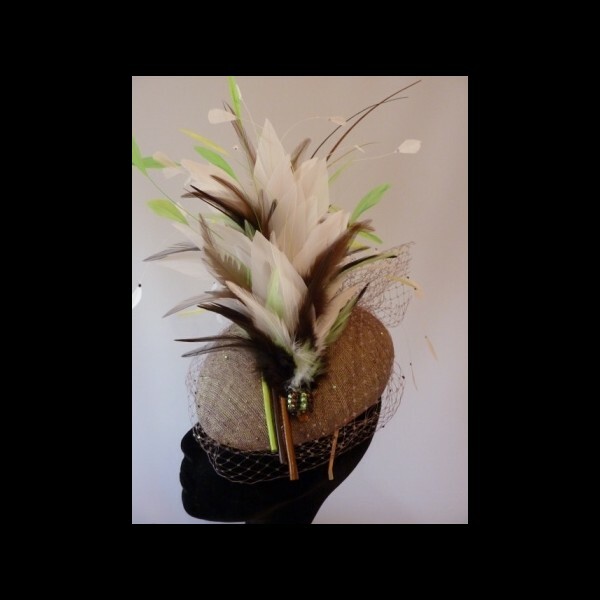 An explosion of feathers in shades of green, brown and chestnut. 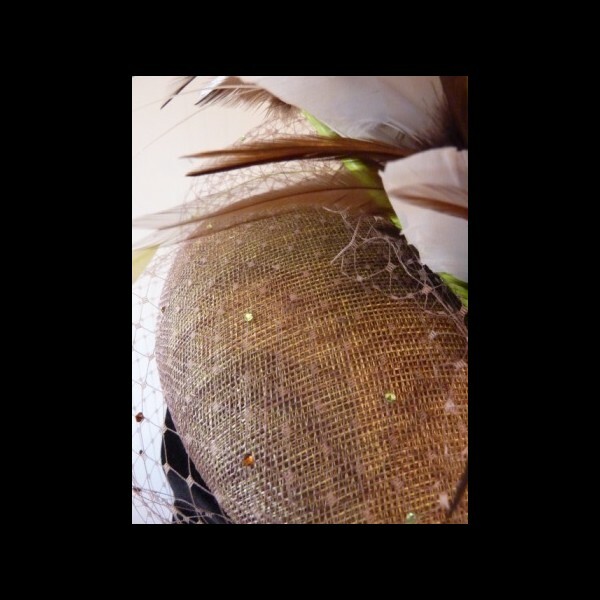 Delicate veiling which covers the eyes. All topped with a dusting of toning Swarovski crystals. On a silver coloured hairband for comfort. 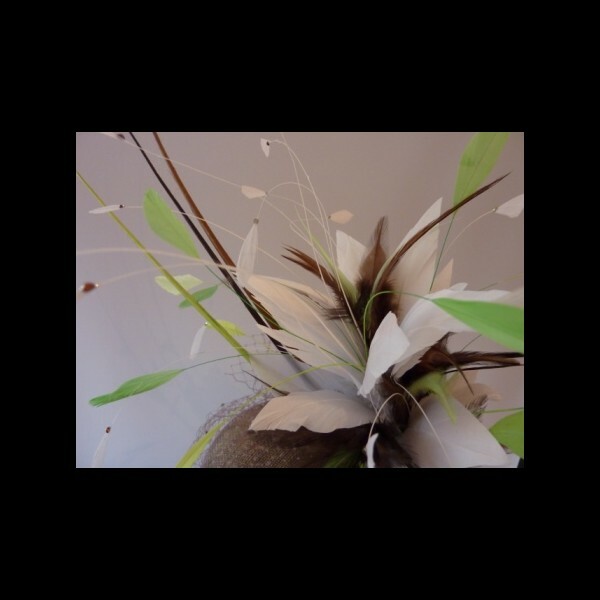 The price quoted is for the hire of this headpiece. It may be ordered for purchase in an array of colours, please contact us for details.